Hearing that your pet has diabetes can be overwhelming. . Diabetes mellitus is a disease of the pancreas. Diabetes is not a death sentence for your pet it is a treatable condition and your pet can live a normal, happy, healthy life. Age should not be a deciding factor in determining whether to treat your pet or whether to euthanize. 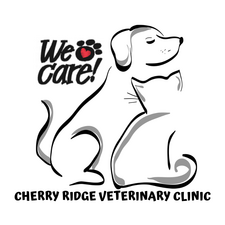 With strong commitment and loving care from you and your veterinarian they can live many years. You must provide a very high level of care for your pet on a daily basis. Every day you will have to give your pet medication, feed a proper diet, and keep a close eye on their behavior. You will have to make arrangements for someone to care for your pet if you are going out of town or cannot keep to your pets schedule that day. 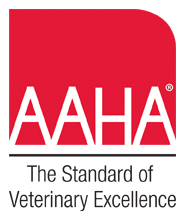 Your hard work and commitment will be reflected in your pet's good health. Diabetes can be very frustrating and emotionally stressful. You wonder how much you are upsetting or hurting your pet by giving pills or injections, and feeding a new diet.These changes can be hard and your pet may rebel at first and not act themselves or not be so loving. In time, all the extra care and attention you are giving your pet will only grow a deeper bond between you and your pet. Educating yourself about diabetes is one of the best things you can do for your pet. The information can be intimidating. Don't be afraid to ask questions. If you don't understand something, now matter what it is, please ask! Knowing the right answer could save your pets life. With a basic understanding of diabetes you will be able to care for your pet better and communicate more effectively with your veterinarian. By making the decision to care for your pet you are taking on a huge, but very rewarding challenge. Cost is always something owners think about when their pet is diagnosed with diabetes. It is not unusual to spend a couple hundred dollars for the initial diagnosis between bloodwork and hospitalization. If you were not aware of your pets condition and it is critical the cost may be more. During the first few months while getting your pet regulated expenses still may be high. These expenses will consist of re-check examinations, glucose curves, insulin and supplies, etc. These appointments are important to make sure your pet is on the right track to feeling well. After your pets diabetes is regulated you will have a cost per month for insulin, syringes, and prescription diet. The pancreas is a small vital organ located near the stomach. The pancreas has two types of cells. One group of cells produces enzymes for digestions while the other group of cells produces the hormone insulin. Insulin regulates the level of glucose in the blood stream and controls the delivery of glucose to the tissues of the body. In simple terms, Diabetes mellitus is a diseased state by which the body suffers from a shortage of insulin, or from an incorrect response from the cells to the insulin that is being produced called insulin resistance. Insulin is a hormone that is produced in the pancreas, releasing into the cells in response to the digestive conversions of proteins into glucose in the bloodstream.Food that is ingested is broken down into glucose, a type of sugar in the blood and one of the body's main sources of energy. Type I Diabetes Mellitus (Insulin dependent) - results from total or near complete destruction of beta-cells. Type II Diabetes Mellitus (Non-insulin Dependent) - The amount of insulin produced is insufficient, there is a delayed response in secreting it, or the tissue in the body is resistant to it. Diabetes Mellitus is diagnosed by the patient showing clinical signs in addition to high levels of glucose in the bloodstream or urine. Diabetes mellitus is usually treated with dietary changes and insulin injections. Once diagnosed with diabetes your pet may be hospitalized until regulated. At home care, your pet must be fed the same food in the same amount at the same time every day. You are responsible for taking on a personal commitment to treating your pet, meaning scheduling a responsible individual to care for your pet if you have to travel.